Lovely stuff, you really should have been the one that produced the last Blackberry hero campaign creative. Love this series, Alex! 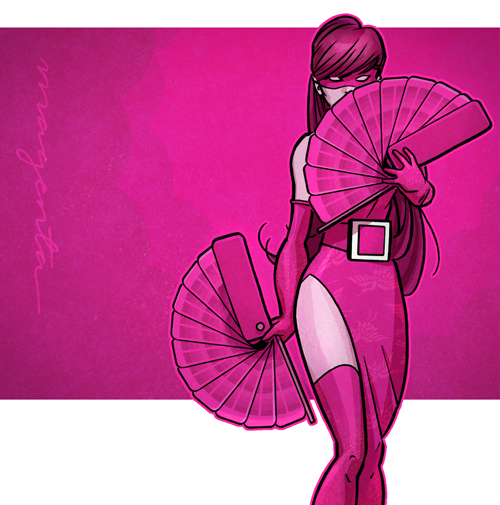 Are the fans that the magenta lady holds supposed to look like paper or ink swatches? Cool idea! Thanks gang! I do love costumed heroes.